The mini legend heart keepsake black pewter brass urn is handmade and hand casted by skilled artisans. 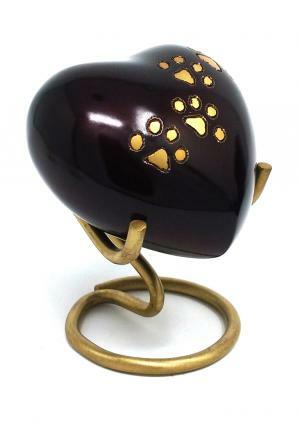 With this small elegant heart shaped keepsake urn, you can store the token amount of pet cremation ashes. This graceful and refined keepsake memorial urn designed in beautiful heart shaped. Fill the pet funeral ashes in this small daisy urn and place at your favourite place in your home. 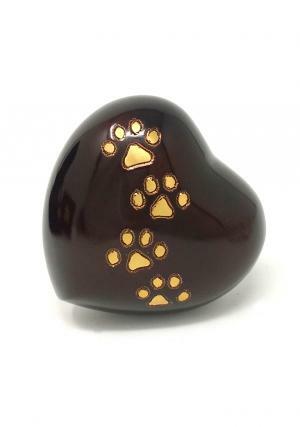 This stardust keepsake urn keeps your loving pet memories alive with you. You can be kept as a tribute and treasured memorial. 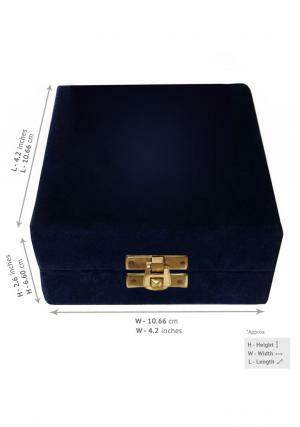 These mini keepsake funeral urns for ashes are made of high quality solid brass metal. 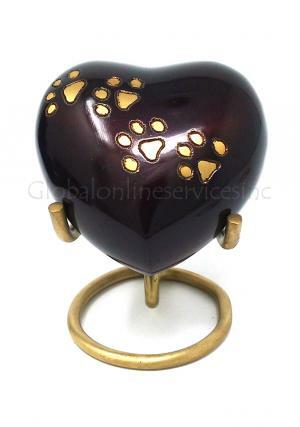 Heart keepsake black pewter brass urn has been a black pewter finish with a paw printed design on unique urn. 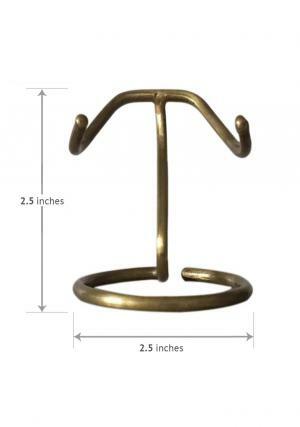 The size of small urn available at 3" height and weight is 0.27 Kg. Buy online with 100% satisfaction and pay the amount with secured PayPal payment gateway. This keepsake funeral urn offers free delivery within UK mainland.